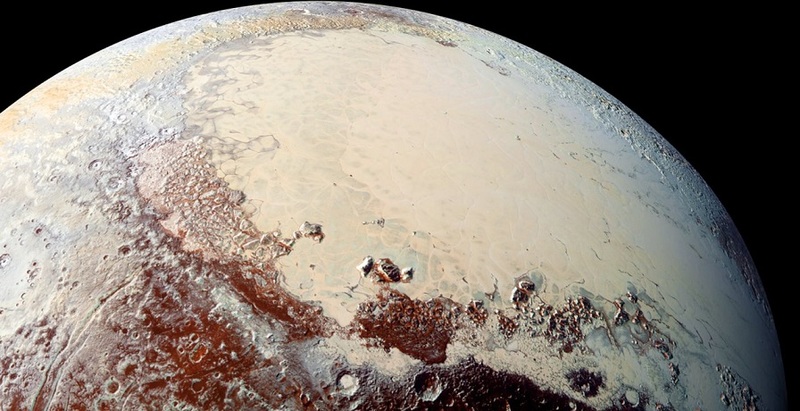 The New Horizons flyby of Pluto and its satellites returned a scientific treasure trove of information about these distant and surprisingly complex worlds, showing a vast nitrogen glacier as well as ice mountains, canyons, cliffs, craters and more. Now the categories for official names have been approved and the name proposals can be submitted by the New Horizons team. In 2015, in partnership with NASA’s New Horizons mission and the SETI Institute, the International Astronomical Union (IAU) endorsed the Our Pluto naming campaign, which allowed the public to participate in the exploration of Pluto by proposing names for surface features on Pluto and its satellites that were still awaiting discovery. Each of the system's six worlds was designated a set of naming themes set out by the IAU's Working Group for Planetary System Nomenclature (WGPSN). The public responded with overwhelming enthusiasm, suggesting and voting on thousands of names within these categories, as well as proposing names not fitting the approved set of themes. Working with the New Horizons team, the IAU has agreed to revised naming themes (listed below) for Pluto, and its largest moon, Charon. For its four smaller moons — Styx, Nix, Kerberos, and Hydra — the themes remain unchanged. Some of these themes build on the connection between the Roman god Pluto and the mythology of the underworld. Other themes celebrate the human spirit of exploration. Gods, goddesses, and other beings associated with the Underworld from mythology, folklore and literature. Names for the Underworld and for Underworld locales from mythology, folklore and literature. Heroes and other explorers of the Underworld. Scientists and engineers associated with Pluto and the Kuiper Belt. Pioneering space missions and spacecraft. Historic pioneers who crossed new horizons in the exploration of the Earth, sea and sky. Destinations and milestones of fictional space and other exploration. Fictional and mythological vessels of space and other exploration. Fictional and mythological voyagers, travellers and explorers. Dogs from literature, mythology and history. Using the revised themes, the New Horizons team will now propose names for the surface features to the IAU, as the body responsible for the official naming of celestial bodies and their surface features. The IAU’s Working Group for Planetary System Nomenclature will then decide on the formal names. Rita Schulz, Chair of IAU's WGPSN said "I am very pleased that the close collaboration of the WGPSN with the New Horizons Team led to these beautiful, inspirational categories for naming the features on Pluto and its satellites. We are ready now for receiving the proposals for names. Good things take time, but it will be worth it."